With 2 dogs to walk I am out every day enjoying the Normandy countryside and one thing I love is our wild flowers. Even in the middle of winter there's a good chance I'll see something in bloom and today was no exception, and that was with snow on the ground. I saw daisies, a dandelion, Shepherd's Purse, Fumitory and White Dead Nettle although all did look a little bedraggled in this cold spell. 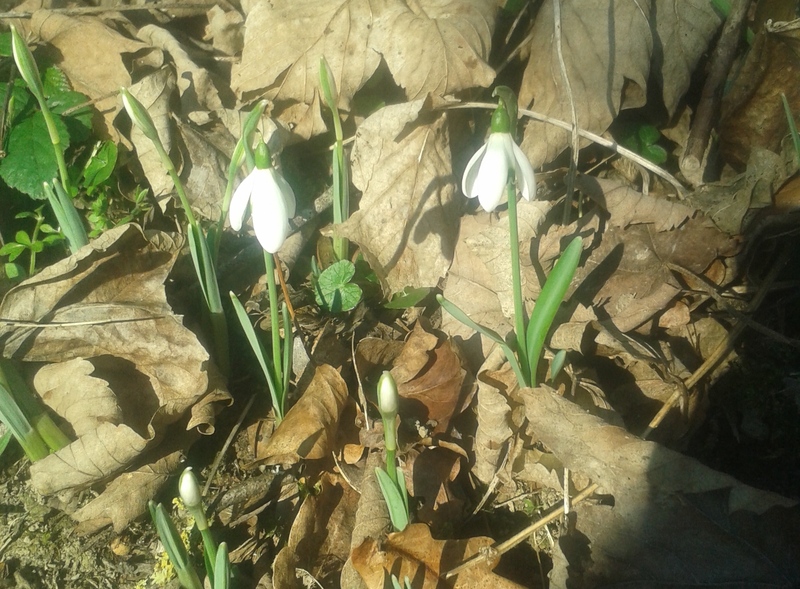 However what I saw yesterday reminded me how Spring is on her way when the countryside of Normandy will be carpeted in wild flowers - on that walk I saw gorse (so colourful), a leaf of wild garlic, the first spotted leaves of an Early Purple Orchid and snowdrops. 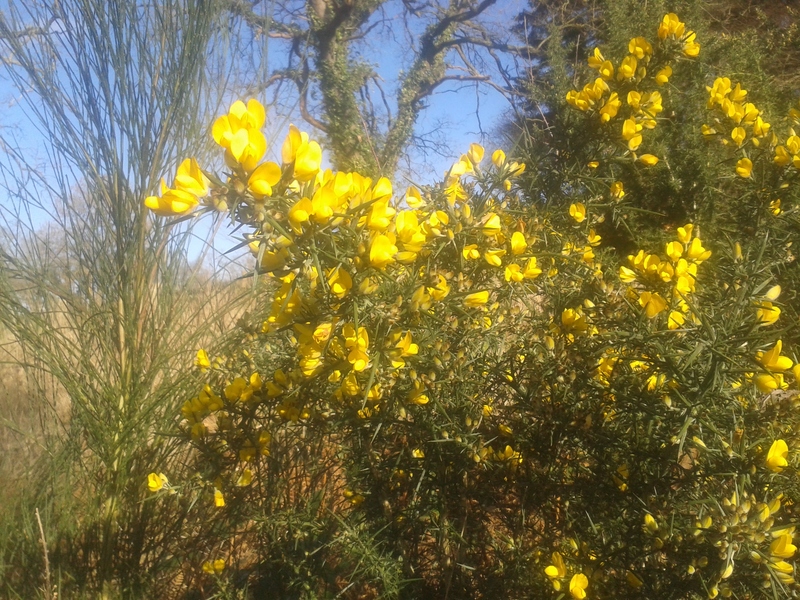 It is said that it is the Kissing Season when gorse is in flower. Shhhh, don't tell anyone but gorse flowers 12 months of the year! Soon the valley path that starts at our back gate and leads down to our sheep field will be thick with the pungent smell of wild garlic (Ramsons). It is the generally the first plant of the year I can forage and goes into a lot of our meals. Perhaps my favourite dish is Wild Garlic and Leek Risotto and you can find a recipe for this over on my other blog - A Green and Rosie Life. Snowdrops are the first real spring flowers we see around the gite and the Early Purple Orchid leaves are a teaser for what is to come. Snowdrops will soon be followed by a multitude of other wild flowers - primroses, wood anemones, bluebells, cowslips, pyramid and early purple orchids, oxlips, campion .... the list goes on and on. 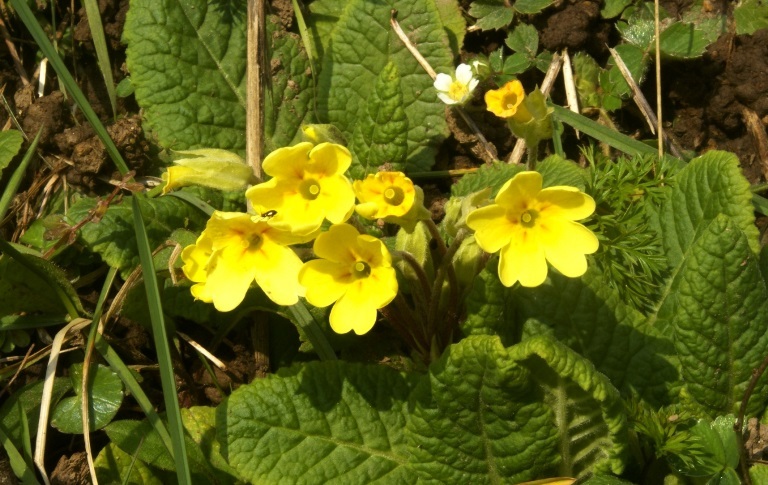 Roadside verges, woodlands and paths will simply be full to bursting with spring flowers with the road that takes you down our valley is possibly one of the best around for its spring blooms. Have you seen any wild flowers recently?